Does your kid have a sweet tooth? This time when you buy them chocolates make sure they get something fun and intelligent to play with as well. 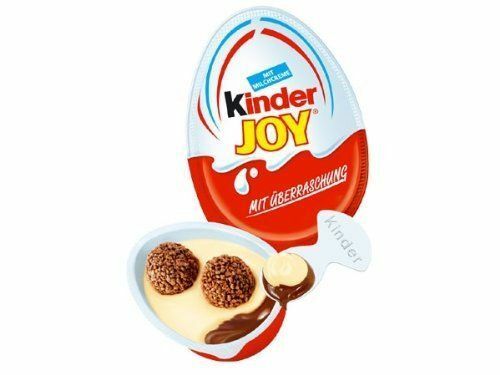 Kinder Joy Chocolates are most loved by kid as they gives kids two things in one package: a delicious chocolate and a smart game to play with. We have a pack of 4 Kinder Joy Chocolates which you can gift your kid on their birthday or just reward them for a good deed. The weight of the entire package is simply 80 gm. 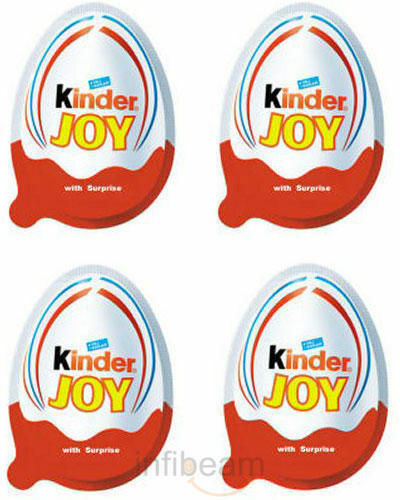 Kinder Joy Chocolates are made from Milky and Cocoa spreads with 2 coated wafer biscuits, including a toy. This pack consisits 4 Egg Shape chocolates of Kinder Joy with free colouring book inside for your child. Applicable Local Taxes,Octroi charges if any will be collected from the consignee. We will attempt delivery of the items once. Incase the delivery is not executed during the attempt, due to wrong address/recipient not available/premises locked, the customer shall still be charged for the order. Being perishable in nature, we will not be able to accept any returns of such items. 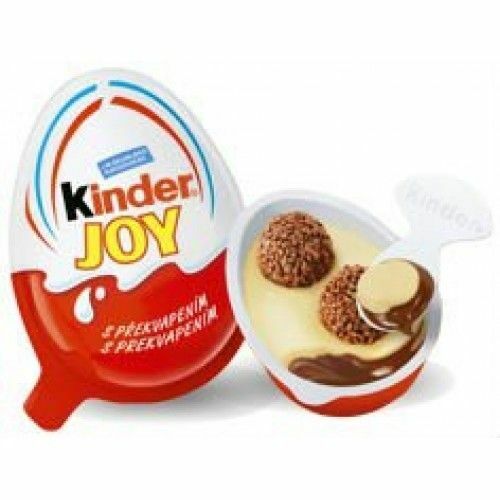 If you like to eat chocolates, then you will love Kinder joy chocolates. Definitely worth to buy it! This is my all time favorite chocolate. Mixture of cream and choco sauce. I love to eat Kinder surprising eggs, so creamy, & delicious in taste. Received the chocolates really fast. I recommend it to everyone. That's exactly what me and my kids wanted. Small sizes and a fun way to share joy of chocolates to children. Delivered on time and in good packing. Most importantly it brought smile on my son's face. Lately I ordered a set of four kinder joy chocolates online. Children are very fond of this chocolate as not only do they enjoy the eating bit but also the game which comes as a surprise for them. It gives them a different delight altogether. 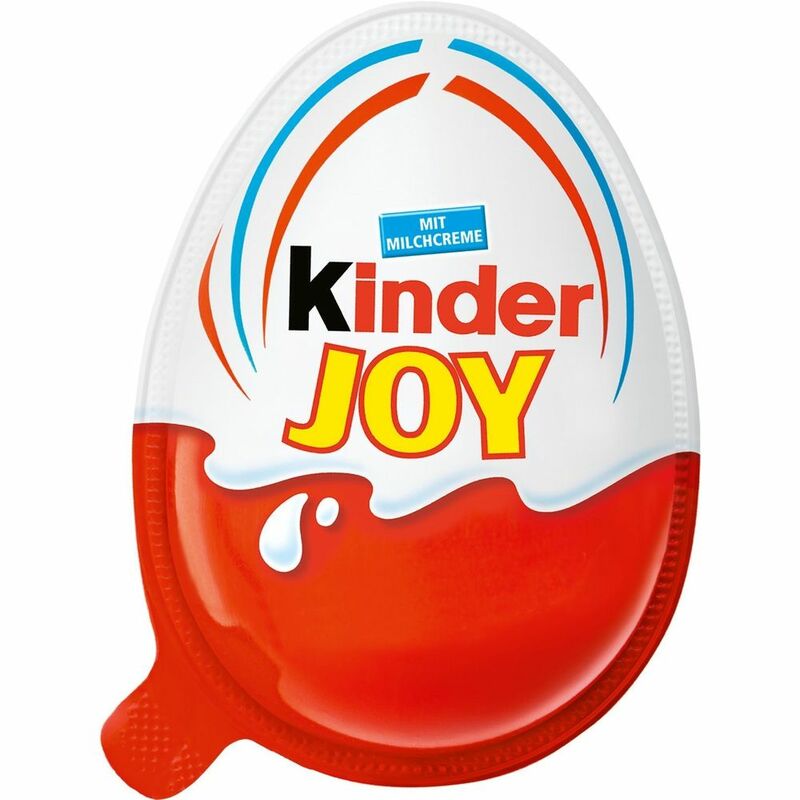 The concept of behind kinder joy is very interesting for the kids. The chocolate is made from milky and cocoa spreads coated with 2 wafer biscuits. It is shaped in an egg form and when the packet is opened there is a surprise element .Kids love to collect them as every pack contains different toys. This product can be ordered online with no hidden charges .I feel it’s an ideal gift to bring joy on your kids face.